A sushi and steakhouse concept will open Friday at Oakbrook Center. Take a look at some of the best options for lunch and dinner. OAK BROOK, IL – The food options at Oakbrook Center will be a bit spicier beginning this weekend as a Roka Akor will open near the corner of West 22nd Street and Sprint Road on Friday, Dec. 22. The nationally-renowned Japanese sushi and steakhouse concept will be open for lunch Monday through Friday from 11:30 a.m. to 2:30 p.m., and for dinner daily from 5-11 p.m. Happy Hour will be offered daily from 4:30 p.m. until 6 p.m. 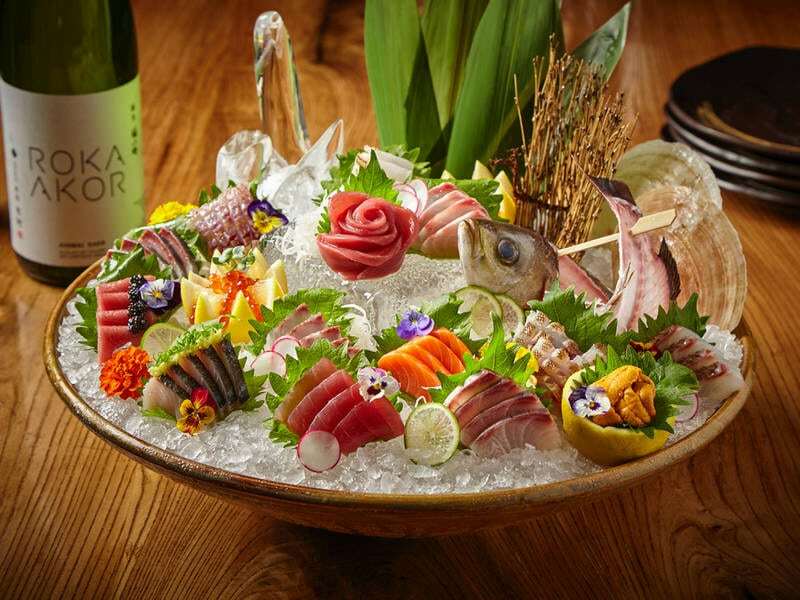 The Oak Brook menu will incorporate local ingredients whenever possible into signature dishes, including cold appetizers, hot appetizers, modern style nigiri, and premium sushi as well as selections from the robata grill, according to a news release. Scroll through the photos at the top of the story to see some of the most popular items. The Roka brand got its start in Arizona, but has already had a strong presence in Chicagoland with locations downtown and at Old Orchard Mall in Skokie. The restaurant offers robatayaki, a Japanese cooking technique where meats and vegetables are slow-grilled on skewers over an open flame charcoal grill. It’s part of the JNK Concepts restaurant group, which includes nine restaurants across the nation. Roka Akor’s Oak Brook location is a 5,400-square-foot space at 166 Oakbrook Center and features a sushi bar, intimate booths, a meandering sleek bar, three private dining rooms that can accommodate 14 – 20 people and dining around a robata grill.